Ireland Bank prides itself on being part of and growing with its local communities. We were originally founded in Malad, Idaho in 1892 by the pioneer community’s leading citizens. Ireland Bank has survived depressions, stock market crashes, wars and agricultural disasters. Today, Ireland Bank is a financially solid institution and is the oldest state chartered bank in the state. We are proud to call thirteen southeast Idaho communities “home”. In the nineteenth century it was customary to name a new bank after one of its founders. The new board of directors unanimously voted to name the new bank after J.N. Ireland, the most senior of the founders and hence came the name of Ireland Bank. J.N. Ireland was born in 1839 in Calvert County, Maryland. After serving under Colonel Robert E. Lee as part of the militia that captured John Brown at Harper’s Ferry in 1859, Ireland left the Army in 1862. At the ripe old age of twenty-three, Ireland migrated west to the goldfields of Idaho and Montana, seeking and finding his fortune in the gold diggings there. His business interests eventually brought him to Malad, Idaho, where he became a highly successful livestock operator, investor and territorial politician. 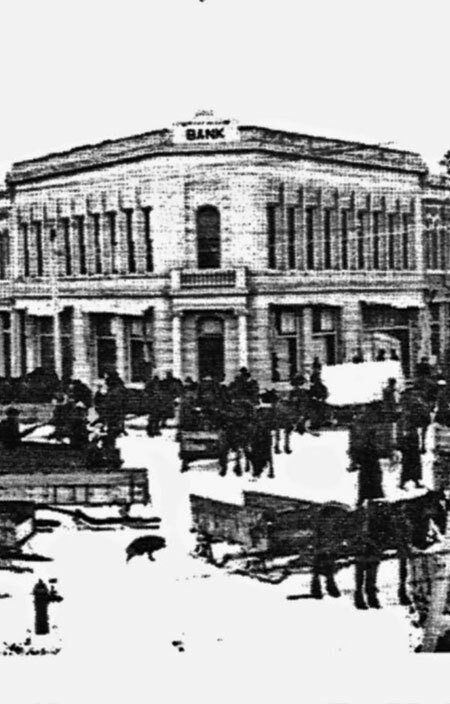 In 1892, he and other prominent businessmen in the community contributed the initial capital for a new bank, believing it was essential to the frontier town’s future growth.